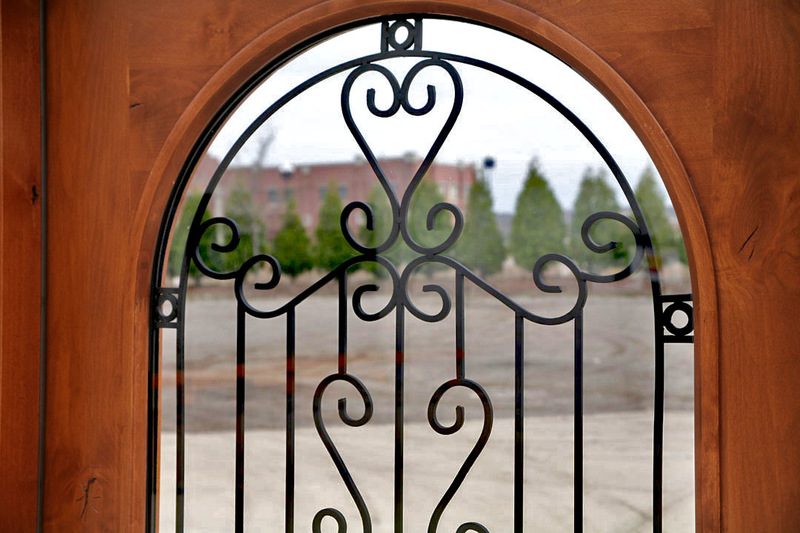 click to enlarge Wrought Iron Work is protected and sealed between the Clear Tempered Glass from the elements. 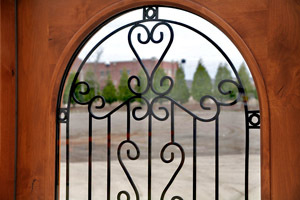 Thus makes for easy glass cleaning and no tarnish of the decorative iron. Side-light Sizes: SW68 11" ~ 18"
SW52 & SW53 16" ~ 18"
Rough opening: (typical 6' 0" x 6' 8") 100 3/4" ~ 114 3/4" x 82 1/2"
Rough opening: (typical 6' 0" x 8' 0") 100 3/4" ~ 114 3/4" x 99"
Handing: Left Hand Main Active or Right Hand Main Active. 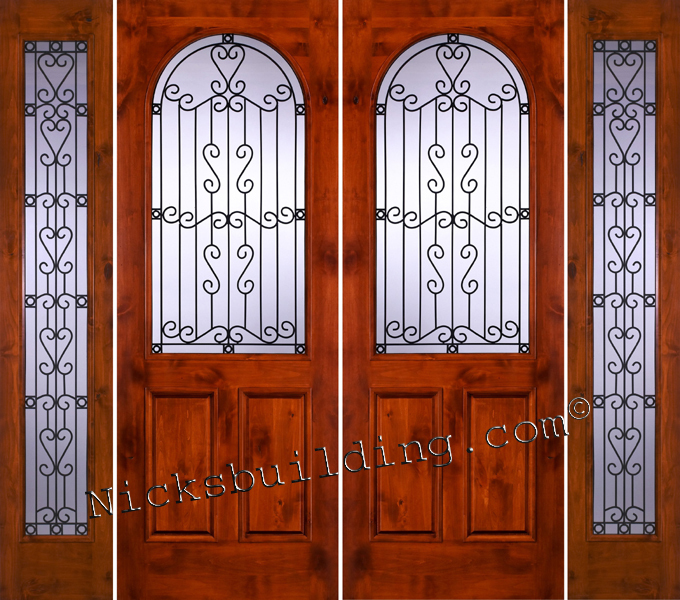 System is Prehung with Solid Knotty Alder Jambs, Brickmold*, Adjustable Bronze Threshold, Commercial Ball-Bearing Oil Rubbed Bronze Hinges, Q-Lon compression Weather-stripping, Rubber Door Sweep and Solid Alder Locking Astragal. *Brickmold lengths Limited to 100" splicing may incur. 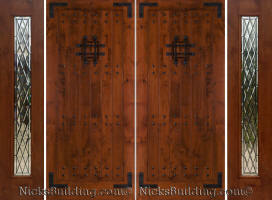 Priced Un-finished - Staining and Sealing available. 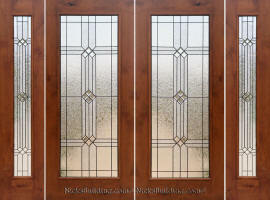 We use only the best UV Exterior Grade Stains and UV Finishes on the market. 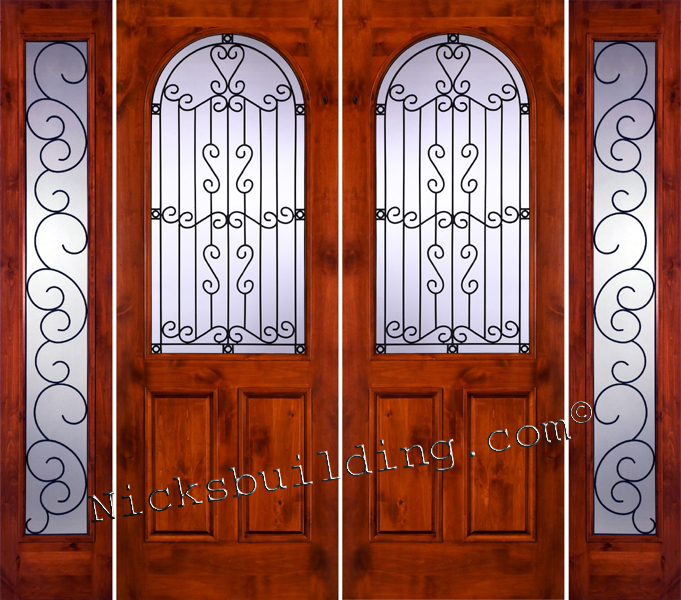 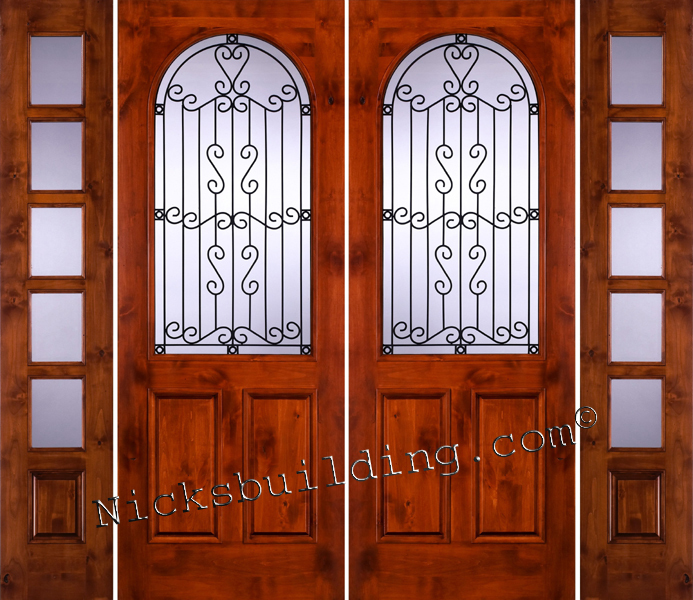 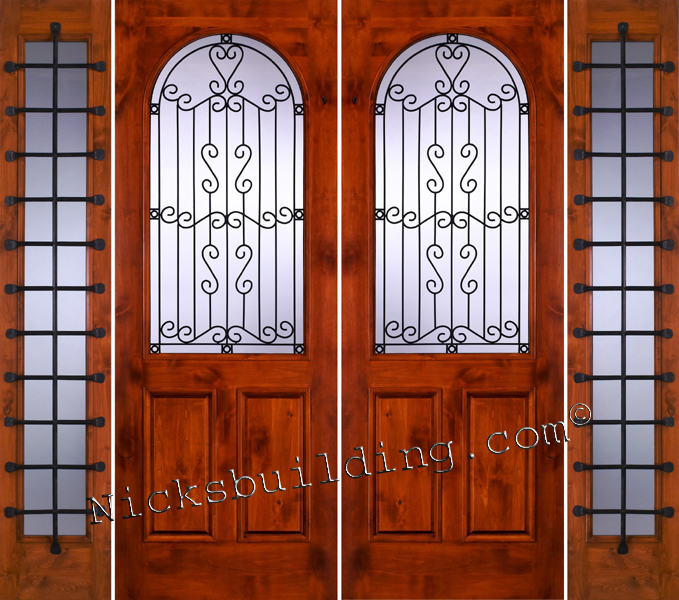 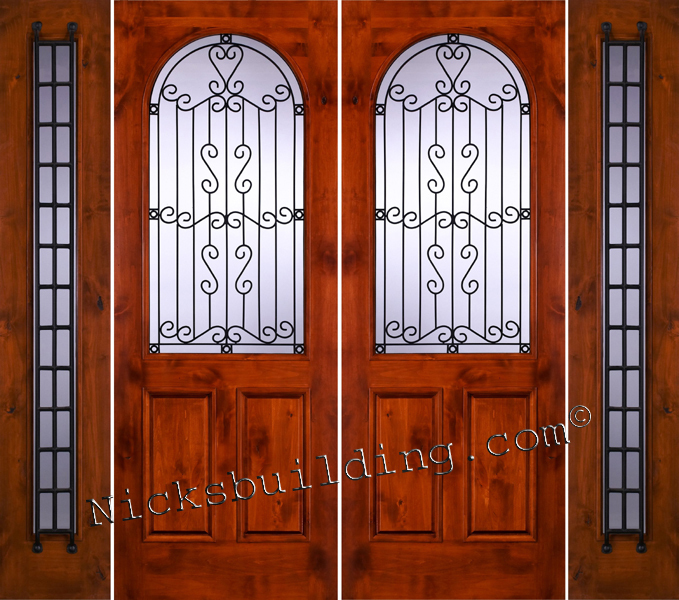 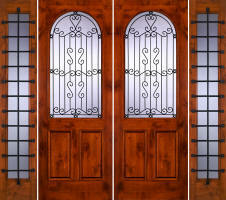 choose from 13 Sidelight Styles and Glass Design Options. 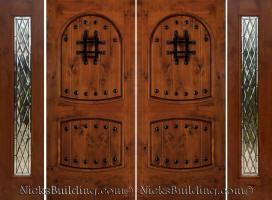 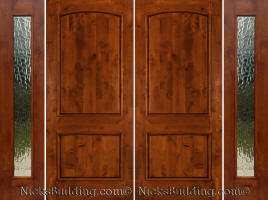 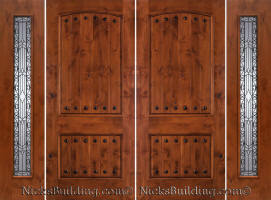 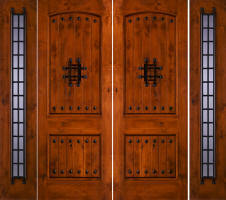 These door systems are assembled in our own facility. 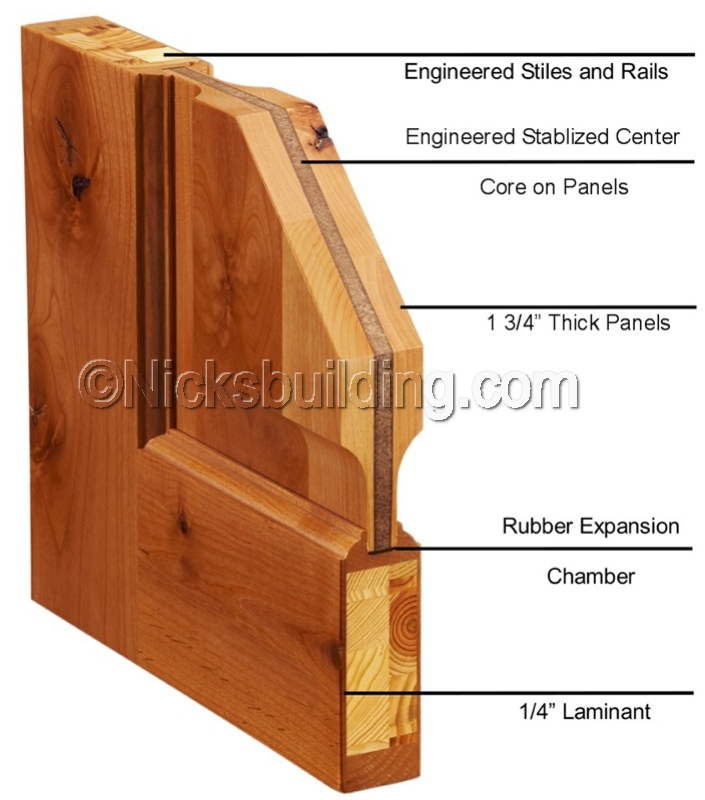 Therefore certain custom sizing can be obtained (additional costs may apply). 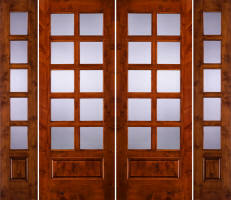 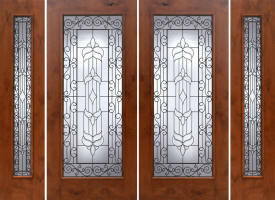 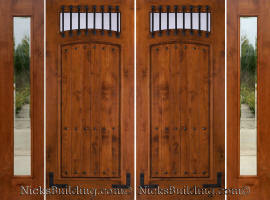 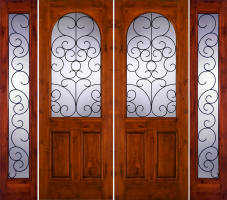 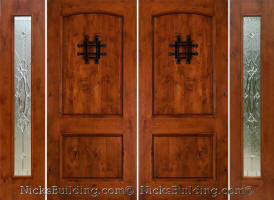 *Certain side lites from 11" to 18" are available to fit various openings and retro-fitting door replacements.